I've had an absolute blast over the last few days, now that the last coat on the inside of Elena has set up, doing little bits and pieces and finishing bits on the inside off. 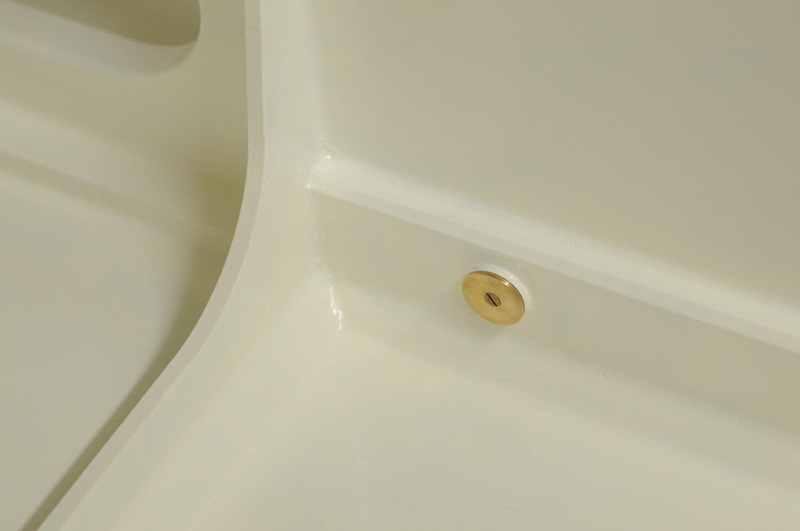 The paint is International "Toplac" single component polyurethane. I've got a really good relationship going with a paint supplier at the fishing wharf here in Geraldton, who happily added some tint to their "snow white" to make more of an off-white or ivory colour. It looked very white when I was applying it, and I was starting to worry that I should have asked for more tint. Once I pulled out the actual white hatches to compare it to, I was really thrilled with the colour. I certainly wouldn't want it any darker. Here's a photo showing a general overview of the front of the cockpit. The little bronze plate that's visible on the aft face of the front thwart is where I'll be putting an antenna connector for the VHF radio. Every corner that's visible here had a fillet of epoxy with filler, which took ages to get nice and smooth. 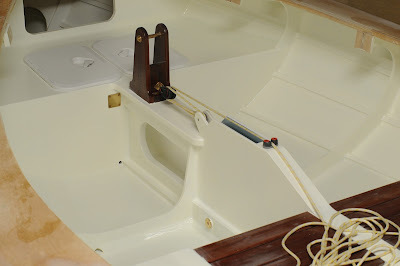 The little hole at the base of the thwart is drainage for the front of the boat. The observant will note that the area inside the forward hatch is painted a different colour to the rest of the boat, and they'd be right. I painted this with aquacote, which is a water-based polyurethane that set up rather too quickly for my liking. 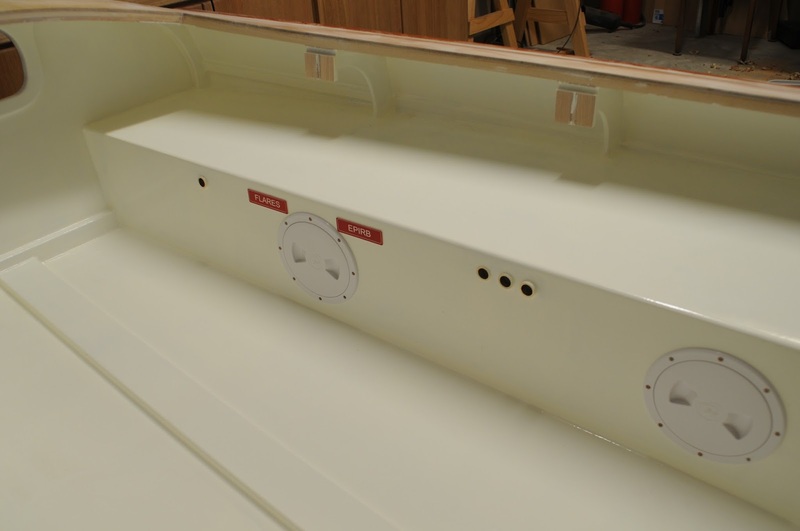 This detail shows the centreboard pivot, all nicely finished and capped off. Under here is an o-ring to keep the ocean out of the boat. There are slots under where the coaming will go, to allow me to run a lead to my radio at the back of the cockpit, so I can use the radio without leaving the tiller. Also seen here are the spots under the cockpit seats for storage of gear that needs to stay dry. The little rings will eventually support a removable and adjustable rowing stretcher and raised platform for sleeping. I used Sikaflex 291 as bedding compound under the hatches.